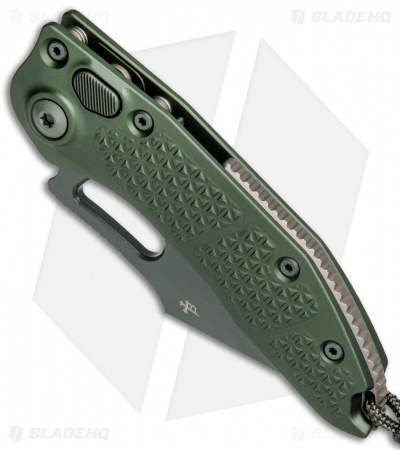 This Stitch model sports a fully serrated blade with a green finish and a knurled alloy handle with a matching green finish. 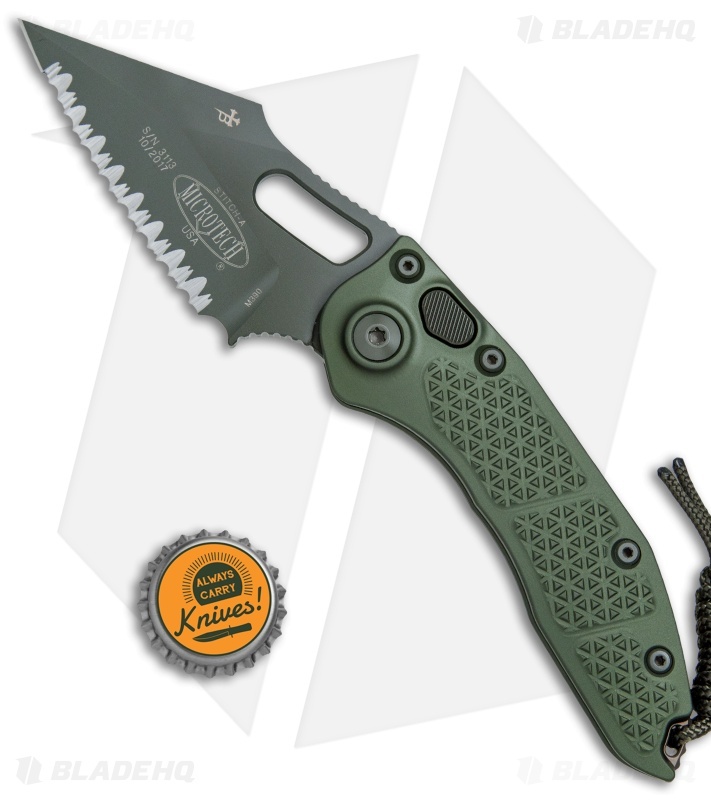 The Microtech Stitch is a production version of the Custom knife collaboration between Marfione and Borka Blades. 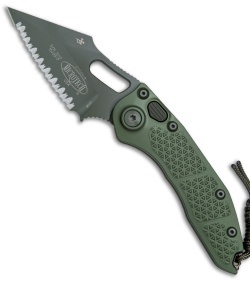 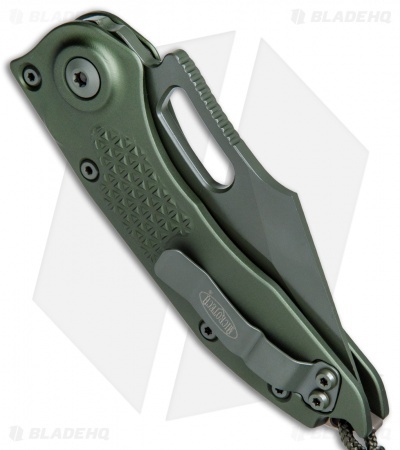 It comes fitted with green hardware and a secure right hand tip-up carry pocket clip.